Creating a welcoming, stress-free work environment is pivotal to any business, and you can accomplish that goal with a variety of different graphics. Some might be meant to decorate while others serve primarily as branding options, but one of the most crucial applications is to inform. 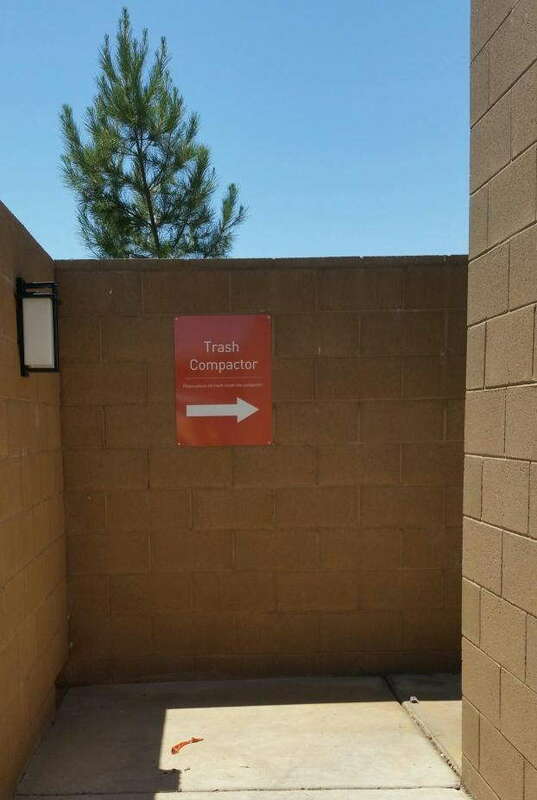 To that end, SpeedPro Imaging LA North can provide you with custom directional signage that keeps your building well-organized and easy to access. If you operate throughout LA, Glendale or Burbank, our visual communication experts would be happy to assist you. As fun as Los Angeles can be, it can also be extremely hectic, with sprawling neighborhoods and complicated roadways. If you want your business to be a smash hit among customers, you need to avoid chaos at all costs. You could have the greatest product or service around in your industry, but it won’t mean much if people can’t find you or navigate your building. Poor organization can lead to frustration, which morphs into dissatisfaction and bad reviews. We’ll help you avoid this common pitfall by offering a range of services, and we’ll be here to assist you from conceptualization to surveying to installation. 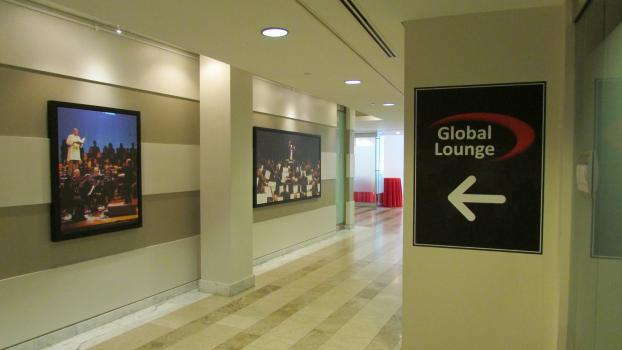 From the parking lot to the lobby, custom wayfinding signage can cover all the bases and keep everyone smiling. When people drive into your parking lot, you might need to indicate defined areas, reference points and more. You could also be a business nestled in prime foot traffic territory, which means you’ll definitely need to guide people along and help them find your space. One of our popular tools, A-frames, hold chalkboards, whiteboards, posters and foamcore. They’re cost-friendly options for each of the aforementioned applications. They’re also tailor-made for event parking thanks to their portability and high potential for customization. 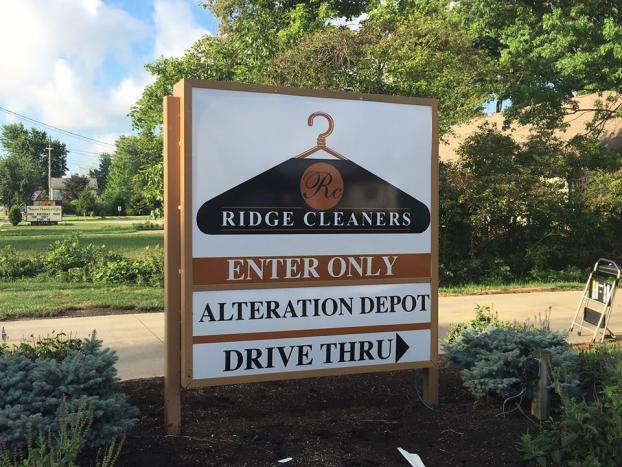 If you need more permanence, we can create signs from metals, woods and other tough materials that we stake into the ground with poles. You can also have signs mounted directly onto the building’s walls. Once you lead people in, the job isn’t finished. You’ll want to supply customized directories and diagrams so that people can find their way through the building without having to ask an employee. 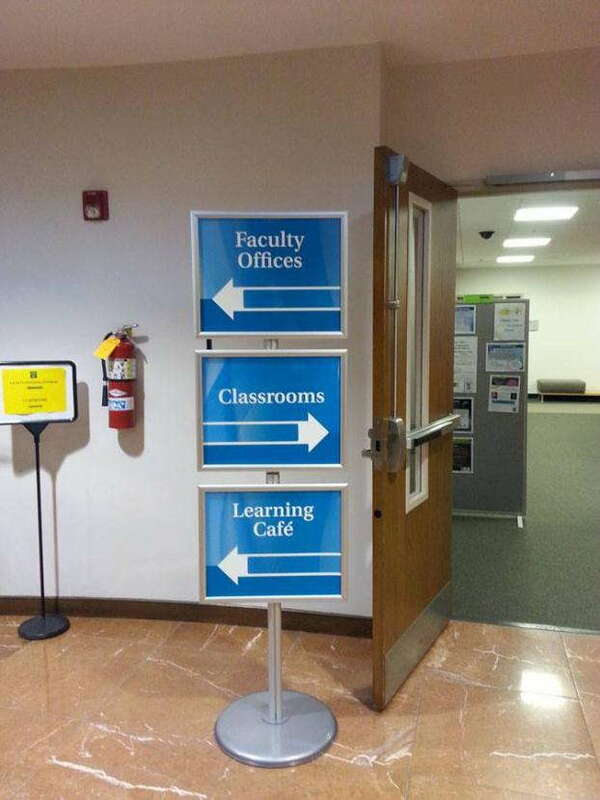 These signs should be posted in enough places to serve as markers in a customer’s journey. You can place them in floor stands, on the wall or even on glass surfaces like windows and doors. We also do work for events in temporary venues. For those scenarios, we offer custom floor graphics and temporary floor stands. Contact us to schedule your consultation and discuss your options. You can also drop by our studio, which is located on San Fernando Road in Glendale.